It’s that special time of year: Someone’s going to get dealt. But who? Don’t get your hopes up: This NBA trade deadline doesn’t promise major action, since so many teams on both sides of the buyer-seller divide got their business out of the way early.1 But surprise deals always pop up, and teams can chitchat with more certainty about the salary-cap environment after the players’ union smacked down the league’s smoothing proposal for future national TV money over All-Star Weekend. I’ve written it before: It wouldn’t surprise me if the league moved the trade deadline up a week or two at some point, especially with the longer All-Star break. Some corners of the league office are wary about the cap consequences of the league’s national TV take leaping from about $930 million in 2015-16 to $2.1 billion the following season. The cap level is tied to league revenue, and a mega-jump like that would send the cap skyrocketing from about $68 million next season to something like $90 million in 2016-17, according to various league and team projections. As I’ve been writing since the summer, an unprecedented cap increase raises thorny complications — including the possibility that super-talented teams might luck into a random one-year blip of cap flexibility. Big-market sad sacks like the Knicks and Lakers could offer two or even three huge salary slots to the loaded class of 2016. The league’s smoothing proposal meant that none of this was written in stone; teams weren’t sure what the cap would look like after this season and had to plan for several contingencies. The plotting got easier over the last few months, as Michele Roberts, the union’s new executive director, made it clear she was suspicious of any smoothing proposal from league headquarters. That suspicion morphed on Friday into an official rejection. The league and union can still negotiate, but time is running thin and a compromise seems unlikely. In other words: Get ready for the cap bonanza of 2016. Teams know that it’s coming, and they can act with a hair more confidence over these final hours. Let’s spin around the biggest deadline-related questions as the madness unfolds. How Crazy Will Denver Get? The Nuggets are at the epicenter. They’ve been seeking multiple first-round picks for both Wilson Chandler and Arron Afflalo, talking with obvious contender types like the Blazers and ambulance-chasing with banged-up playoff teams like the Wizards. Snagging two firsts for Timofey Mozgov emboldened the Denver front office to chase big returns, and the rest of the league is waiting for Denver to step back as the deadline approaches. Anyone could have JaVale McGee for a fruit basket. The more interesting questions surround Ty Lawson and Kenneth Faried. Denver isn’t shopping those guys, but Jusuf Nurkic is the only true untouchable on the roster, per several league sources who have dealt with the Nuggets. The sense around the league is that you could land Lawson or Faried with a Godfather offer. They are gettable. Boston and Denver have had exploratory talks about Lawson, per several sources. Lawson and Faried are also due a lot of future money in a league in which contracts are shorter than ever. Lawson will earn $12.4 million next season and $13.2 million in 2016-17. He’s an outstanding offensive player, and his shooting has rebounded after an icy start to this season. His ankle doesn’t appear to be bothering him much anymore. He’s something like the ninth-, 10th-, or 11th-best point guard in the league — a super-fast dynamo who can get into the lane at will, draw fouls, and dish a ton of dimes. But he’ll be 28 at the start of next season, the ankle is worrisome, and he’s had some off-the court issues; he was arrested on suspicion of DUI a few weeks ago, and Brian Shaw famously toyed with eliminating daytime shootarounds because his players like the nightlife, baby. Shaw and Lawson have clashed at times this season, though that’s not necessarily a big issue. He’ll be 30 at the start of his next major contract, meaning the end of that deal could be a little ugly. Dealing Lawson would leave Denver with a gaping hole at point guard, which is why it’s tempting to construct wild three-team trades in which they receive someone like Reggie Jackson or Goran Dragic from a third-party team. As for Faried, his four-year, $50 million extension kicks in next season, and his development on both ends has plateaued. The salary-matching math is complicated with an extended player in the last season of his rookie deal, but there are paths around it. But that’s where the league’s new cap environment becomes a factor. There is a feeling around the league that teams that aren’t free-agent destinations are coming to grips with their cap room being less valuable than ever. If free-agency behemoths have major room, the little guys will scrap for leftovers over the next few summers. Dealing for a player on an expiring contract, or even a guy with just one year left, holds less appeal than it used to. That guy can bolt almost immediately and enter a frothy marketplace of beaches, big cities, and friendly tax jurisdictions. On the flip side, draft picks and rookie-scale contracts are fixed through the 2020-21 season2 at dollar amounts that won’t increase as quickly as the cap. Young players will get proportionally cheaper every season. So will veteran players locked up on contracts signed over the last couple of years — the pre-spike deals. Contracts that look pricey and long now aren’t so bad, especially if the guy attached can play. At least in theory, given that both sides can opt out of the collective bargaining agreement in 2017. Detroit’s use of the stretch provision to soften the blow of eating Josh Smith’s money sent shock waves through the league. Teams haven’t made much use of the new stretch rule, which allows them to spread dead money over many years as a way of minimizing the cap hurt in any single season. Cutting Smith was a bad cap move, but it reinforced the value of the stretch provision: If teams trade for a flawed player with a “bad” contract, the stretch provision is almost a get-out-of-jail-free card. Some of those players might be worth a shot. Non-glamour teams are looking more at those guys as agreeable trade currency. Lawson and Faried aren’t perfect fits for this model of player, since Denver itself isn’t a traditional free-agency hot spot. But a guy whose contract looks even just a tad weighty might be more movable than it seems if any number of teams pivot in unexpected ways — Faried, Nikola Pekovic, Kevin Martin, Marcin Gortat, Channing Frye, Chris Bosh, Avery Bradley, Rudy Gay, and others fit the description to varying degrees. Those guys aren’t necessarily on the block; Bosh is a star on a team that loves him, and Gortat is a valuable two-way center — even if he somehow can’t get on the floor in fourth quarters. Bradley’s deal is fine. Frye hasn’t fit as well as expected in Orlando, and his four-year, $32 million contract looks fat as a result. But he can be a weapon on the right team, and if I were the Magic, so far from the playoffs, I’d at least sniff out what Frye might draw. On the other hand, non-destination teams that might gamble on these guys are loath to trade away first-round picks. And teams with good players under medium-term contracts don’t like giving them away for bad picks and fringe prospects — unless they really need to cut money. It may be that all of these market trends won’t coalesce into a workable trade, but they’re worth monitoring. The league is always evolving; the value of various assets is always changing. Boston. The C’s have a thousand draft picks, two big trade exceptions, and a bushel of interesting young guys. It’s unclear how interested they really are, and dealing for Lawson now would bring the risk of a semi-unwanted playoff appearance. Boston will not include Marcus Smart in any Lawson deal. They owe a protected 2015 first-rounder to the Lakers via the Jeremy Lin deal, but that will almost certainly go to L.A. this season, meaning Houston could in effect trade its 2017 first-rounder now. The Rockets are really good, but the West is a bloodbath and Dwight Howard’s knee troubles are worrisome. The Grizz, Mavs, and Thunder have already flipped future first-round picks for present-day upgrades, and the clock on Howard’s free agency is ticking. Houston will have a hard time creating max-level cap space this summer, so landing a big fish now is enticing. The Rockets also trust their ability to retain players once they get them (and their Bird rights), so Houston is less fearful than a lot of teams about trading for an impending free agent like Dragic — a guy the Rockets are targeting, per ESPN.com’s Marc Stein. 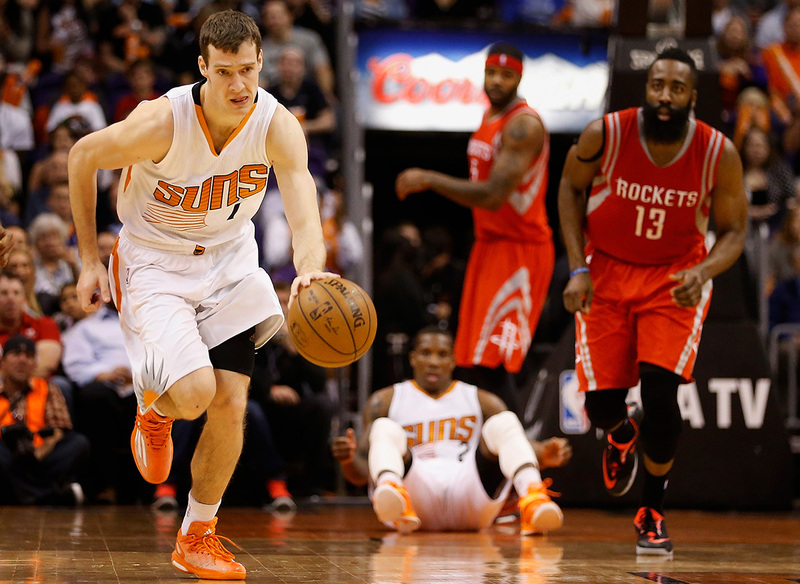 If the price for Dragic is friendlier, Houston may prefer that route. Daryl Morey is always active, and he has cards to play. Sacramento. The Kings don’t have as many cards, since they owe their first-round pick to the Bulls if it falls outside the top 10. Their free fall down the standings since canning Mike Malone has Sacto on pace to keep the pick this June, meaning the Kings could trade the player they select after the draft. That would obviously delay any big trade until the offseason. But the Denver connections run deep here now, with George Karl onboard and Pete D’Alessandro in his second season as GM. The Kings don’t have much to offer, especially since Nik Stauskas has looked borderline helpless when he has been able to crack the rotation. Still: Never underestimate the possibility of Sacramento springing something funky. Ask team executives which teams beyond Denver will define the deadline, and two come up almost every time: Brooklyn and Oklahoma City, borderline playoff teams (for now) that nearly collaborated a month ago on a three-team whopper centered on Brook Lopez. The Nets are as active as ever, but they appear united against dealing just for the sake of dealing. 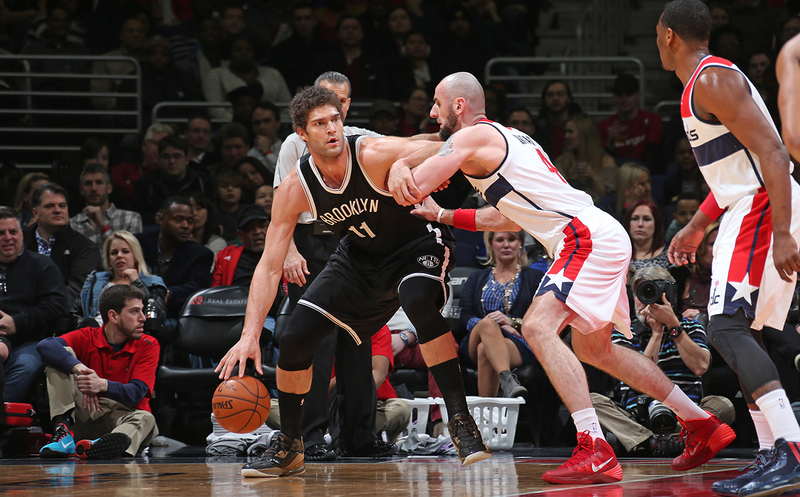 If they’re going to move Lopez or Joe Johnson, they’ll want at least some token future assets and salary relief that could open up the possibility of Brooklyn becoming a free-agency player this summer and in 2016.4 The Nets surely noticed Mitch McGary’s strong play before the All-Star break, and that Steven Adams is out a few weeks with a broken hand. Lopez isn’t the cleanest fit in Oklahoma City, but it’s workable, and the Thunder are under massive pressure to win now. Clearing real room for this summer is obviously unlikely. The Jackson situation means the Thunder could act as both buyers and sellers, unlocking three-team trades in which partners going in different directions all get something they like. Jackson is unhappy in a backup role, losing minutes to Dion Waiters, and set to hit free agency. The Thunder are just $2.2 million over the tax, and when you’re that close, you should at least try to get under — though the need is a bit less urgent given how tough it will be to reach the tax line, and trigger repeater penalties, once the cap spikes. Still, an eight-figure deal for Jackson could take the Thunder over next year’s tax, and dealing him could be a way to recoup a first-round pick after ditching one for Waiters. Jackson is a good player who has been valuable in the playoffs, and there is major risk in a would-be contender dealing such a player without getting a rotation cog in return. The Thunder also found a groove before the All-Star break, and McGary’s emergence decreases the need for Lopez. The offense ain’t pretty and the defense can get jumpy, but they’re tied with Phoenix in the loss column, and they’re still slaughtering people when Russell Westbrook, Kevin Durant, and Serge Ibaka share the floor. Masai Ujiri talked at length with me in late December about how hard it was just deciding whether the Raptors, as a strong team in a weak conference, are true title contenders or something more ambiguous, a notch or two below the elite. He vowed that he would not do any trade that sacrificed even a small piece of the future for a one-season upgrade. The Raps blazed into the All-Star break, but their defense is shaky and they have two expendable expiring contracts in Landry Fields and Chuck Hayes. Those guys alone won’t get you anything, but the Raps have a couple of future assets that have declined enough in value that Ujiri might include them in the right deal: their own first-round pick and Terrence Ross. (The same doesn’t apply to the 2016 Knicks first-rounder Toronto owns thanks to the ridiculous Andrea Bargnani heist.) Their own pick is a lock to fall in the mid-20s, and though this front office could absolutely nail a pick that low, the odds are always against it. Ross has been coming off the bench since mid-January, and though he can shoot, the rest of his game has stagnated — especially his defense. The Raps are listening to incoming offers on Ross, per several league sources, and a couple of power forwards on borderline playoff teams stand out as intriguing targets: David West and Kevin Garnett. Garnett would have to waive his no-trade clause, and he does not enjoy change. West is an even trickier case. He has been available off and on in exchange for a first-round pick over the last couple of months, per several league sources, but Paul George’s potential mid-March return could change Indiana’s deadline stance. The Pacers are three games behind the no. 8 slot in the loss column, with a relatively easy and home-heavy schedule the rest of the way. If George really comes back on March 14 in Boston, as Marc Spears of Yahoo relayed over the weekend, Indy would have him for 18 of its final 28 games. But it wouldn’t be getting peak George, and Indy has to jump over three teams — Boston, Detroit, and Brooklyn — just to get into the no. 9 slot. Trading West could accelerate a mini-rebuild, but West’s $12.6 million player option for next season is an unpleasant pill. Corey Brewer quietly declined his own player option to grease his trade to Houston, but West’s option is much bigger, and he can’t afford to close off any paths to money as he approaches 35. It’s unclear whether any team — Toronto, Charlotte, or someone else — is primed to surrender a first-round pick for West. If the Pacers can’t find a hungry taker, they might stay the course and settle for a smaller move. West’s option could eat into Toronto’s cap room, though it won’t have any if it brings back both Amir Johnson and Lou Williams.5 It’s tempting to suggest a Utah-Toronto deal revolving around Ross and the ornery Enes Kanter, a swap that could in theory balance out both rosters in the right places. But Kanter’s representatives are a little nuts, and there aren’t many teams stoked to pay his next contract. It could have something like $8 million to $10 million if it only brings back one. Kanter is a tweener who probably leans more toward the center spot but can’t protect the rim or do the other things on defense that teams need from centers. The power forward position is absolutely loaded around the league, and teams aren’t much interested in bigs who can’t shoot 3s or patrol the hoop. 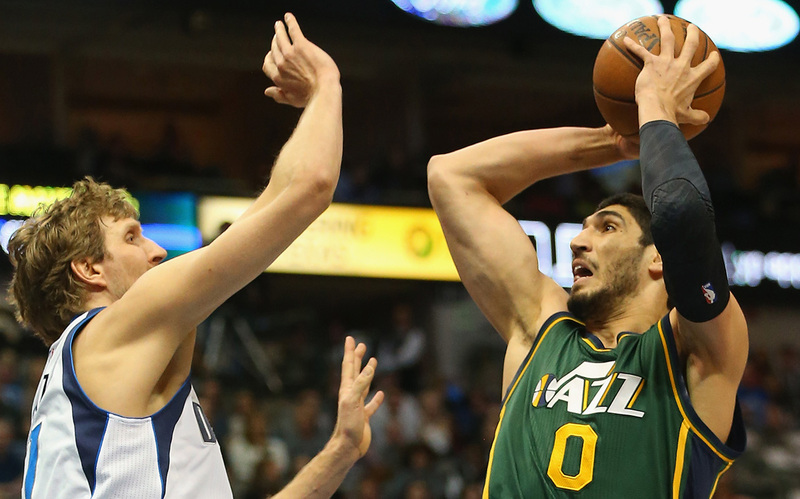 Kanter is a skilled player — a post-up bruiser with a nose for offensive rebounds and a sweet jumper. He has worked a bit harder on defense this year, though the results haven’t come — not shocking, since he’s just 22. Kanter could follow Greg Monroe’s path to two-way respectability, but he’d have to earn many more free throws and improve his passing exponentially. Every path on Kanter’s decision tree points to “shoot” — he has just 26 assists all season, which is kind of laughable considering how much Quin Snyder has his bigs handling the ball around the elbows. Finding a workable deal for Kanter is tough. Boston already has stretchy bigs who struggle with rim protection. The Kings don’t need another ball-dominant post guy next to Boogie. Kanter doesn’t fit Indy’s defense-first culture, and while Portland needs healthy bigs, it’d be reluctant to jeopardize its chemistry. The ever-active Hornets could view Kanter as an heir apparent to Al Jefferson, but they’re in a playoff chase, and Utah would throw the phone on the floor at the mere mention of Lance Stephenson. A Dragic-Kanter swap makes some theoretical sense given the roster needs of each team, but Utah is not the sort of market that can bank on retaining unrestricted free agents. The Lakers are intriguing but could chase Kanter in restricted free agency — a game the Lakers usually sit out. Utah will seek out deals, and it has to be prepared to accept a little less than equal value given Kanter’s impending payday and reputation. The Jazz could also hope the market proves cooler than expected, and that they’ll be able to retain him at a reasonable price with an eye on dealing him later. Toronto may have a bigger need on the wing than at power forward, where the combination of Amir Johnson, Patrick Patterson, and James Johnson (in small lineups) is fine. James Johnson provides needed bulk on the wing, but with Ross’s future unclear, the Raps could use some true wing depth to beef up around Williams, Greivis Vasquez, and DeMar DeRozan. They could sniff around the Denver guys, but a lot of the other potentially available wings — including Gerald Green and Tim Hardaway Jr. — are even worse defenders than Ross. The Suns are clinging to the no. 8 slot after losing five of six, including yet another rim-backboard-rim-basket heartbreaker at the buzzer. Ryan McDonough, the team’s GM, mentioned the need to balance out the roster in a recent radio interview, and we’ve already covered some of the Dragic possibilities. The Suns want to make the playoffs. Even if they’re afraid Dragic walks, they can’t afford to toss him away without getting a real player in return. It’s very hard to find a good big man on a team that might be willing to deal for Dragic on an expiring contract. The Rockets loom, and while the Lakers always bank on the glitz of L.A., I’m not sure Jordan Hill cuts it as a frontcourt upgrade for Phoenix. As I reported in December, other teams have long felt that Phoenix would prefer dealing Isaiah Thomas; he has three years left on a contract that declines in value every season, and that opens up a broader trade market. It also opens up the possibility of Phoenix dropping from three starting-caliber point guards to just one if Dragic leaves after a Thomas trade. But Phoenix in that scenario could pivot to cap space, and it’s still well stocked with future picks and young players. And Phoenix may well just shrug and dole out $35 million combined per season to keep all three point guards for now; it already plays two of them together for most of every game, and that $35 million doesn’t look so insane with the cap set to leap and Markieff Morris locked up on a knockout deal. Portland faces a version of the dilemma Memphis resolved by sacrificing a protected future first-rounder for Jeff Green. The Blazers are getting bodies back, and they are a damn good team when they’re healthy. Meyers Leonard has shot lights-out in earning a rotation spot over the last five weeks, but the team’s other young bench guys are unproven and with uncertain upside. LaMarcus Aldridge is gutting through a thumb injury, Chris Kaman has fallen off a cliff, and Nicolas Batum can’t put one good week together. The Blazers have their own first-round pick to trade, plus some handy expiring deals attached to Thomas Robinson and Dorell Wright. If GM Neil Olshey is willing to sweat it out until the deadline, he might be able to snag one of the Denver wings — Chandler or Afflalo — for that kind of price. Tayshaun Prince and Marcus Thornton are buyout candidates in Boston, but they’re not two-way players on the level of the Denver wings. 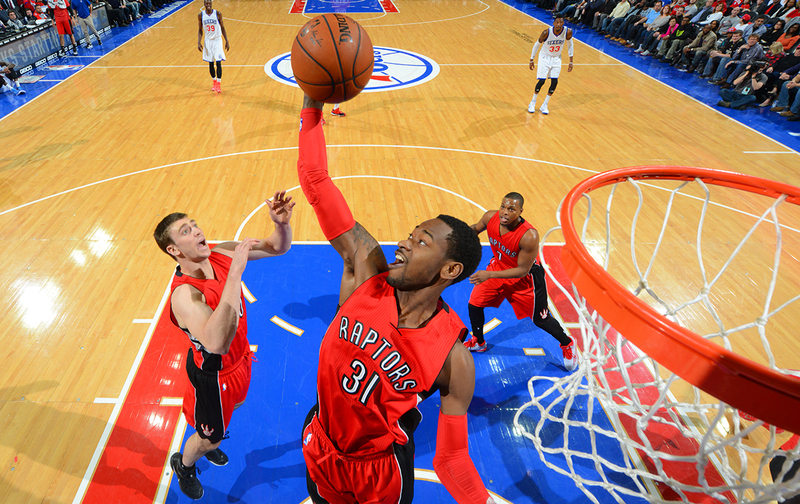 It’s easy to suggest that Portland deal its 2015 first-rounder for depth on the wing. It’s going to end up in the mid-20s, where the average return is a borderline rotation player. And while the Grizzlies had already dealt a first-rounder to Cleveland before flipping another for Green, the Blazers have all of their first-round picks going forward. With three starters set to hit free agency, Portland has every incentive to chase the ring now. Adding a quality wing would boost Portland’s title odds, but by how much? Winning three series in the West is a brutal task, and the combination of health, luck, and matchups will play a larger role in determining Portland’s fate than the gap between Chandler and the rest of the Blazers’ bench wings. Portland could also use some future depth. Both C.J. McCollum and Will Barton have shown flashes, but the Blazers can’t be sure at this point whether either has a big-time future on the team. 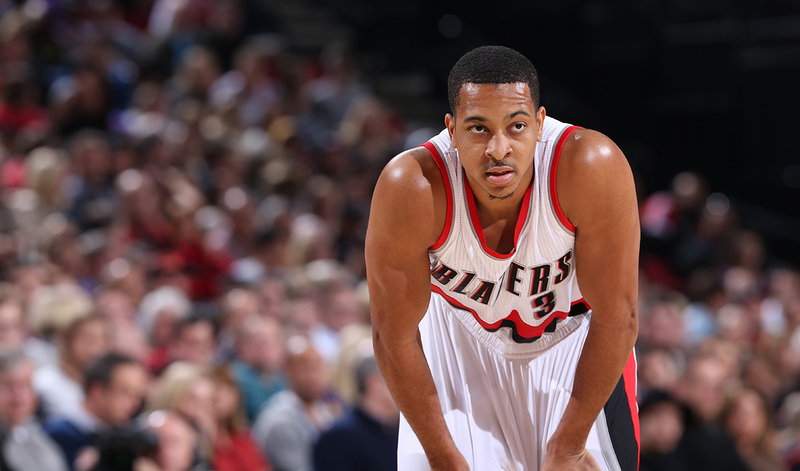 McCollum has dealt with injuries, but he’s also going to be 24 before next season. Barton is a restricted free agent this summer and wants to play. Portland didn’t have a first-round pick in last year’s draft and has dealt away all of its second-rounders through 2018. Paul Allen’s money can buy back second-round picks, but teams don’t sell first-rounders anymore. Portland’s 2015 first-rounder might be a long shot, but Olshey’s a smart GM, and it represents a precious chance to restock with a quality player on a cost-controlled rookie deal. It matters. It’s also fair to wonder what Barton and McCollum might be today had Terry Stotts, a wonderful coach, been a bit more willing to let them play through their mistakes. If the Hawks and Spurs have taught us anything, it’s that there is value in seeing what every guy on the roster can do. Aron Baynes starts in random intervals for San Antonio. Mike Budenholzer makes sure to play Elton Brand every week or so, just to keep him ready, and Kent Bazemore has slowly emerged as a legit rotation piece. A few executives have mentioned the possibility that coaches could use the extra-long All-Star break to do even more film study, find some rotation space for fringe guys, and make some X’s-and-O’s tweaks. With just 25 or so games to go, perhaps that kind of thing has more potential to goose internal improvement than bringing in an outside part at this late stage. There’s no right answer. Dealing their first-round pick might not be a monumental risk for the Blazers, but it would carry some cost. I bet they do it. Those are the big story lines, but there are little things to follow. Golden State will sniff out some David Lee tax relief deals, and it’d love to at least talk to Garnett about waiving his no-trade clause — provided the Nets can find enough salary relief elsewhere. The Pelicans will look for a small forward, but they’re not trading Ryan Anderson for some run-of-the-mill wing player — especially with Quincy Pondexter giving them solid minutes. The Clips and Heat will try to turn nothing into something. The Hawks have freaking $4.9 million in cap room, which seems unfair. They could sign a free agent or absorb extra salary in a lopsided trade. The Magic will look to move little side pieces like Andrew Nicholson and Maurice Harkless, though it wouldn’t be a shocker if a front office that might be in some danger searches for something juicier. The Bulls and Spurs have assets in the cupboard, but neither has much record of in-season go-for-it deals. I could see the Bucks trying to dump Ersan Ilyasova, even if he’s the only traditional power forward left on the roster. The Sixers are still $13 million below the salary floor, though given the light penalties for coming in beneath that level, it’s unclear whether Philly even cares. They’ll try to wring assets from teams that need to dump money, but given how many future picks they already have, the Sixers may be content to stand pat if they don’t get a deal they love. Bank on this: Something unexpected will happen. Embrace the craziness.